A:Yes. 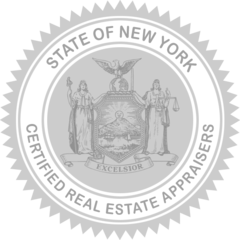 All of our appraisers are licensed by New York State to provide certified residential appraisals. Our staff consists of only experienced appraisers with in-depth knowledge of the areas in which they perform appraisals. (Also, unlike most other appraisal companies, we don't employ appraiser trainees). Q: Is the appraisal report you provide going to be acceptable for my purposes? A:Yes. We provide detailed and comprehensive professional appraisal reports for a wide variety of clients and purposes. As such, we are familiar with the standards and reporting requirements for any situation requiring a residential appraisal. 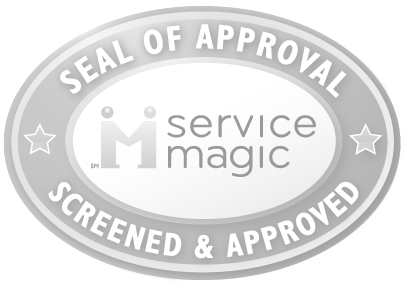 None of our clients have ever had one of our appraisal reports rejected for any reason. Our appraisal reports are routinely relied upon by New York State Courts, financial institutions, local, state and federal tax agencies, Medicaid, attorneys, accountants, real estate professionals, as well as individual homeowners like yourself. A:Our primary service area is Nassau County. However, our firm also has four other offices located in and servicing the counties of Suffolk, Queens, Brooklyn, and Manhattan. Q: What is the appraisal based on? A:With regard to single-family and multi-family homes as well as condo or co-op homes, an appraisal is primarily based on recent sales of similar nearby properties with broadly similar physical characteristics. A:Yes. The condition of your home is an important factor in the appraisal process. That's why the first step of an appraisal is the property inspection. During the property inspection, the appraiser will note details about the condition of your home, inside and out, and rely on that data as the basis for comparison for the rest of the appraisal process. Q: How long does the appraisal take? A:It depends on which part of the appraisal process you are referring to: scheduling the appointment, completing the property inspection or delivering the written appraisal report. Scheduling the appointment - It only takes a couple of minutes to schedule the appointment for the appraisal. We're very flexible and can usually accommodate your request for almost any day and time provided you call us at least 2 or 3 days in advance. (If you need a rush appraisal, just let us know when you call to schedule your appointment - we'll make sure you have the report before your deadline). Completing the property inspection - Once you schedule an appointment for the appraisal, the next step is for the appraiser to visit your property to complete a brief inspection. This step usually takes only about 30 minutes. Delivery of the written appraisal report - After the property inspection is complete, the appraiser will begin second half of the process - research and analysis followed by the completion of a comprehensive written appraisal report. 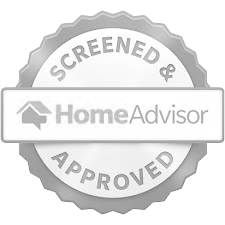 You'll receive the written appraisal report within just a few days of the property inspection. Q: How long is the appraisal good for? A:It depends on a number of factors. Depending on market conditions in the area where your property is located, an appraisal is usually valid and accurate for at least a couple of months from the date the appraisal is done. However, when an appraisal is being submitted to some official authority (e.g. a bank, the IRS, your local township, etc.) how long an appraisal is considered valid will usually be determined by the authority to which you are submitting the appraisal. Q: What days of the week are you available to do the appraisal? A:We are available 6 days a week to perform your appraisal - Monday through Saturday.